The average manager spends around 25% of their time attending to time consuming admin tasks including answering non productive telephone calls. For a small business person this % can increase to more than 40% as they spend a huge portion of their time on the phone. There is an easier way! Imagine how much additional work you can get done if you have someone taking all of those incoming calls. How many times have you just started on a difficult task only to have to drop everything to pick up the phone. With Virtual Reception you will always have a live assistant waiting to take those calls. Setting things up is easy, you tell us which number you want us to answer (we can even provide you with telephone numbers), what custom greeting you want us to deliver to your callers and what you want us to do with the message after we have taken it. In this regard, we can either email the message to you or SMS it only minutes after taking it. Our platform is really intuitive to use. We custom built it to be extremely powerful in terms of functionality and value add to you. You are able to vary your package at any time, add additional telephone numbers (including 1300 numbers), change your greeting, plus a whole lot more. There are lots of good reasons, here are a few. Having a virtual receptionist as opposed to a full time employee makes good financial sense. Besides costing a lot less, you get the flexibility to increase and decrease your resources when you need them. Our professional receptionists really get to know your business. You may even find some of your customers starting to think that they are sitting in your actual office. We can provide you with a whole range of other cost effective services like 1300 numbers, local telephone numbers, virtual assistants, virtual addresses plus much more. Using a service like ours gives you back a significant portion of time. You can then use this time to focus on business strategy and growing the sales for your company. We have more than 3,500 customers in Australia. We are Australian owned and have been providing these services for more than 7 years. Many of our customers have been with us for a number of years. We don't have any long term contracts. Our customers stay with us because we provide a really good cost effective service. Let our phone answering service assist you in growing your business. If you don't think that you fit into any of the packages that we have on offer then give us a call and we can custom fit something to suit you. Our packages range from a basic package which starts at $20 per month plus $2,75 per call up to packages that are suited for larger businesses with hundreds of employees. An average SME would spend around $40-$50 per month. Where are the receptionists based? 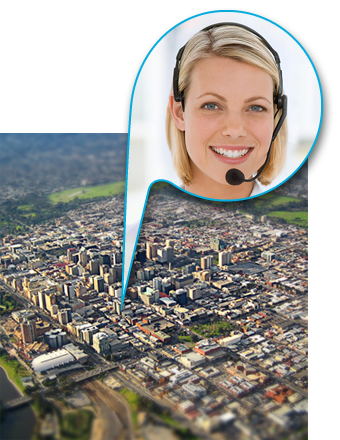 Our staff are based all around Australia. They work from home via the cloud. Having a decentralised staff means that we save on operating costs and can pass those savings on to you our customers. We have virtual assistants who can assist you with a variety of administration and sales administration tasks. You can use these staff when you need them and we charge on a per minute basis. We have more than 3,500 customers who stay with us because we deliver exceptional service. You are not locked in to a long term contract. Our services are provided on a month to month basis with only a month required to cancel.